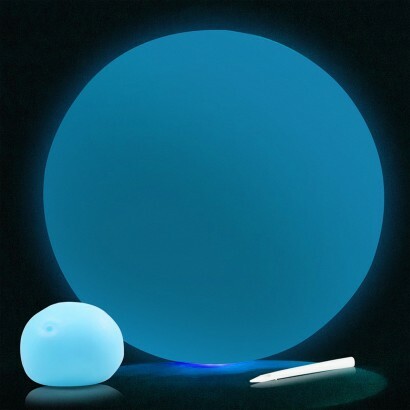 Light as a balloon but as hardy as a light ball, balloon balls are small rubber balls that you can inflate up to 25cm for endless play. Squeeze, it, throw it, bounce it, and better still see it in the dark as these balloon balls glow in the dark too! Use the straw included to inflate and then deflate for use after use, expose to natural light and then play in the dark with these fantastic glow in the dark balloon balls! 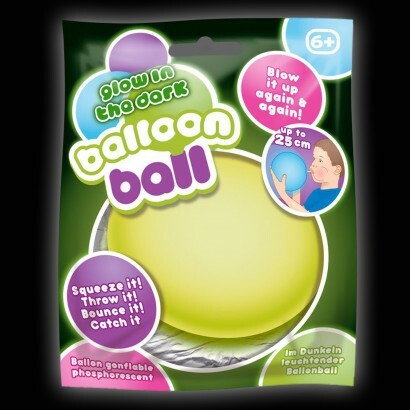 Inflate and then deflate using the straw included for endless play! Delivery magnificent . Goods arrived day after ordering.